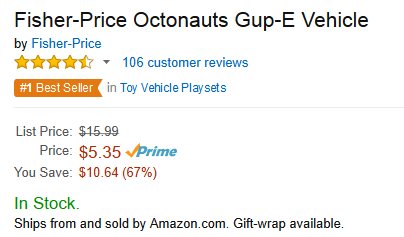 Fisher-Price Octonauts Gup-E Vehicle Just $5.35 + FREE Prime Shipping (Reg. $16)! 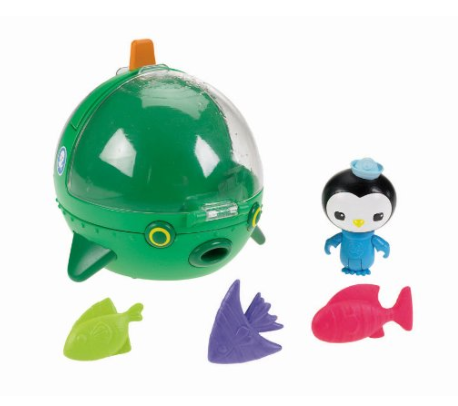 You are here: Home / Great Deals / Amazon Deals / Fisher-Price Octonauts Gup-E Vehicle Just $5.35 + FREE Prime Shipping (Reg. $16)! If you have a little Octonauts fan like myself, they’ll love this cute Fisher-Price Octonauts Gup-E Vehicle, priced at ONLY $5.35 (Reg. $16) right now! Plus, FREE 2-Day Shipping is available with Amazon Prime or FREE with orders of $35 or more (sign up for a FREE 1 month trial here)!